The activities involve posing questions to family members, observing and researching, sampling/scrapbooking and experimenting. 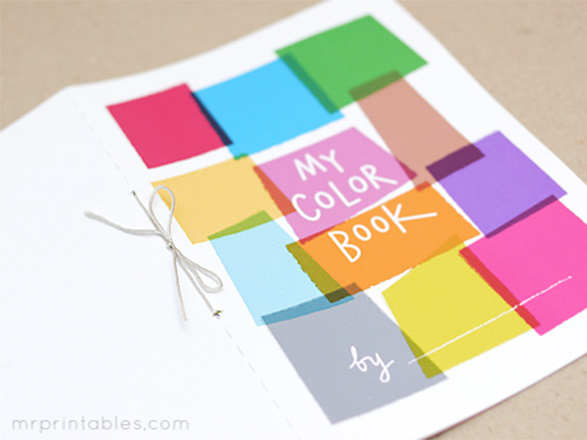 Simply print them and bind together with string or staples, and you have a wonderful little book about colors you can complete yourself! 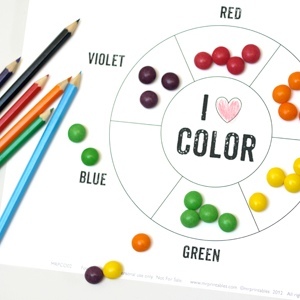 Around the house color check! Download the pages, print and fold in half. 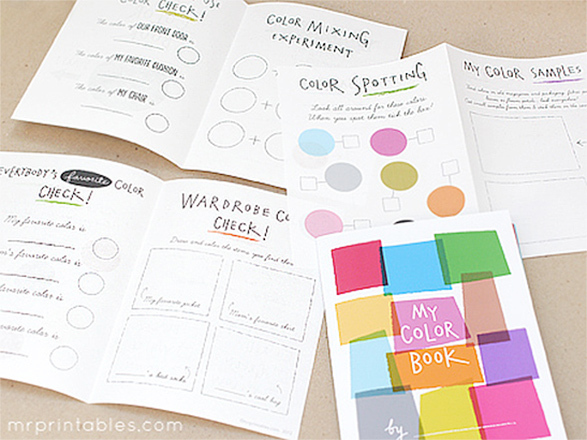 Add some extra colored papers to insert like we did if you like. We recommend that you print the cover on thicker paper. Print the pages on normal papers or recycled papers. You may want to print on both sides of the paper. If you do this, check the page loading direction carefully. 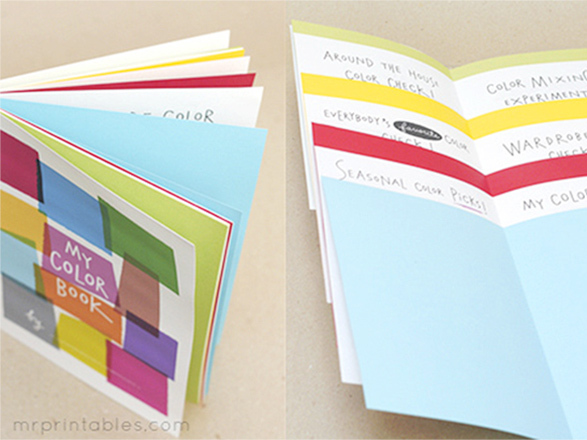 Insert colorful papers between printed pages to make a more colorful book. Create more activity pages with your own ideas! 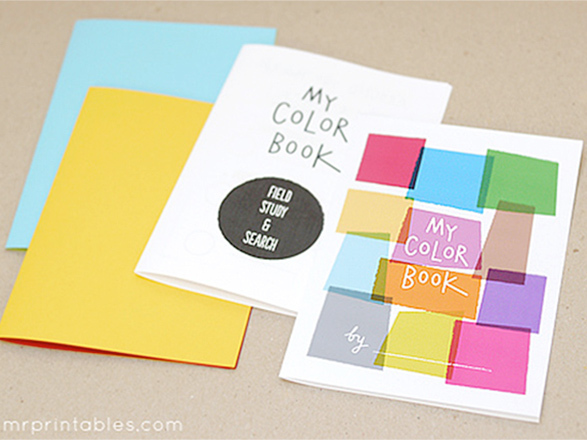 – Insert magazine cutouts, fabrics, wrapping papers and other colorful material. 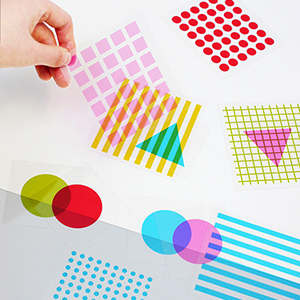 – Clear plastic sheets or thick water color papers for different surfaces to color and doodle on. Make 2 holes on the middle fold line with a sharp object (take care!) and put a string through the holes and tie on the outside. Done!